Our family pulled the trigger! 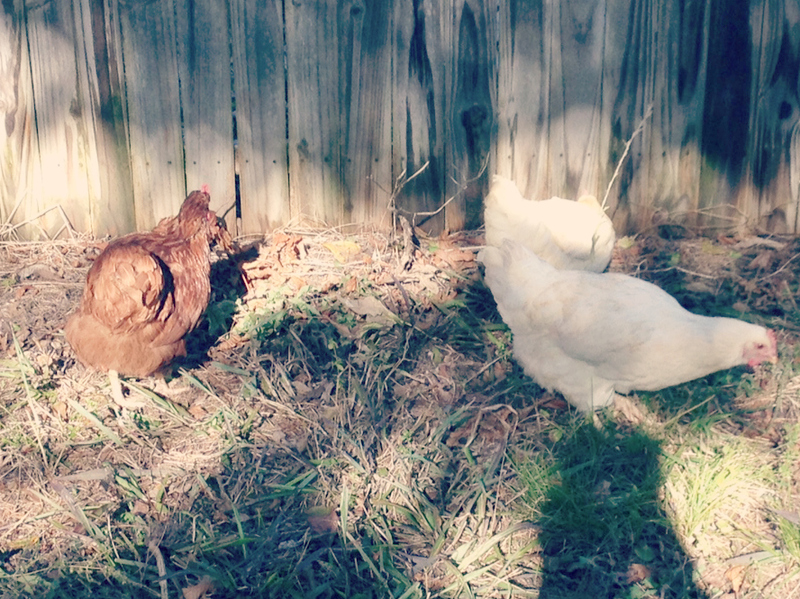 We knew when we bought a small house with a large backyard that we would want some backyard chickens, eventually, but it wasn’t until I figured out that we were buying THREE DOZEN eggs a week (!!!) that we decided to step up our timeline, despite how busy Jesse is in his graduate program. 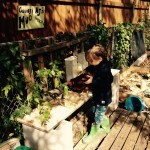 The first step was to find or build the right coop. At first, I had dreams of building one “from scratch” (a chicken pun, get it? Be prepared for many more! ), but once Jesse’s PhD program began late summer, all of those dreams vanished. I just knew that we’d never get around to it! 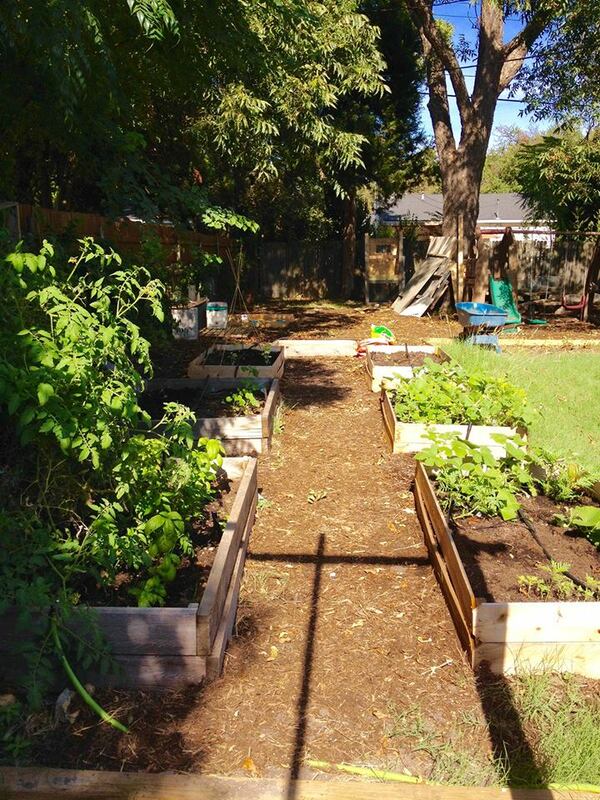 I’m pretty handy with a saw and drill, but felt like it was too much for me to handle by myself (although I constructed all of the garden beds and the irrigation systems you see in the pictures above!). So, as usual, I turned to Craigslist. 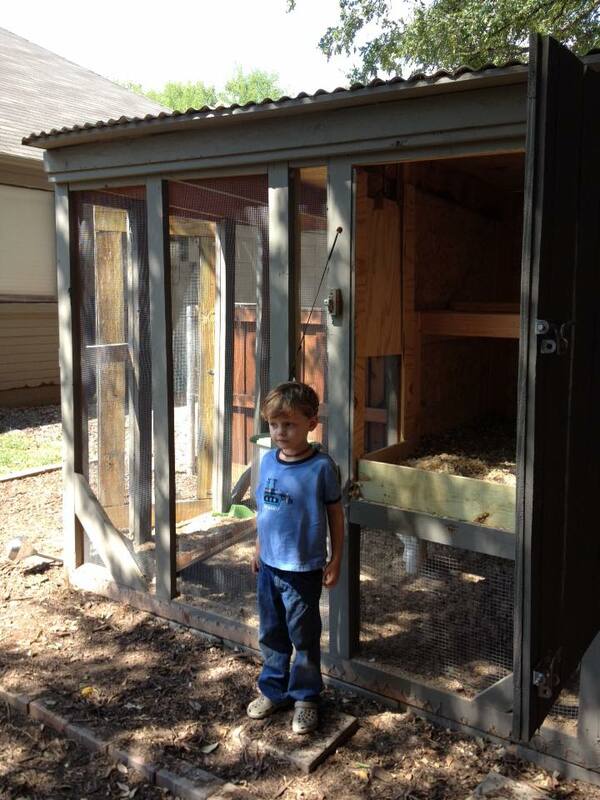 I saw this coop for $400 about a 45 minute drive away, and thought, “I wish that were in our price range!”. 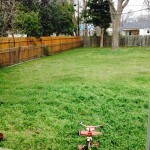 A few days later, the woman reduced the price to $250 since they had a moving deadline! I love moving deadlines– it means that they are 900x more willing to make a deal with you since they need something GONE. I asked her if she would part with it for $150, and she said yes!! 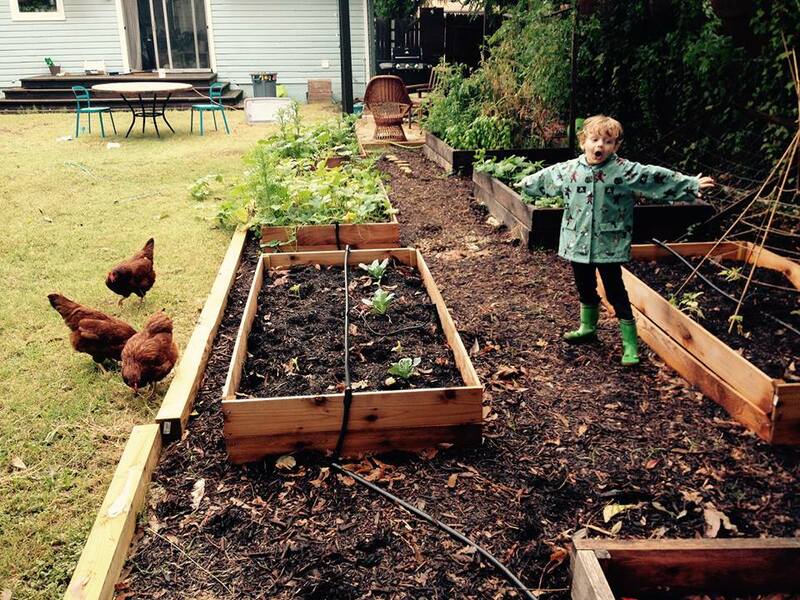 A picture of the coop at its old location, with Gregory standing beside it for size context. 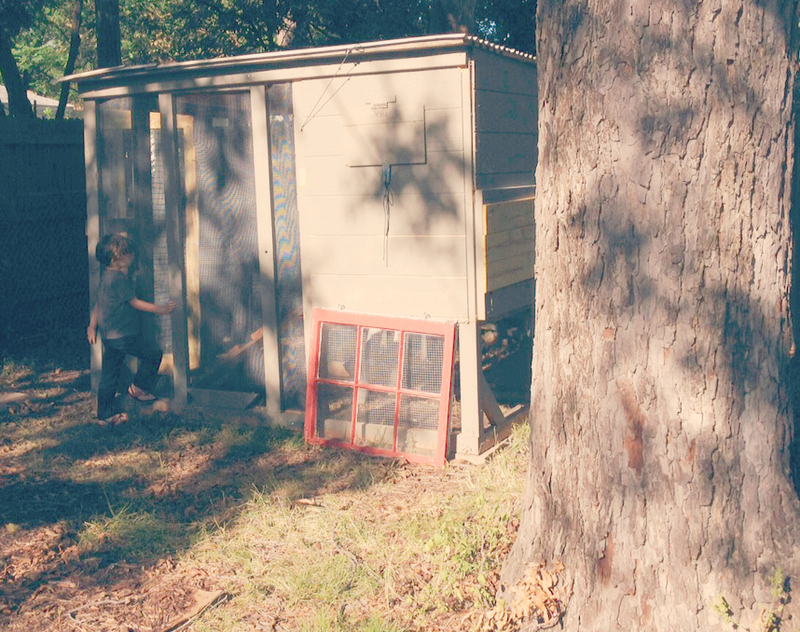 Next, there was a fair bit of drama, wherein we had to take apart the coop (this took 4+ hours…Jesse was not happy…) and pay $30 to rent a trailer to transport it. Initially we hired someone to move it for us, but he no-showed on the morning of! The husband of the family who sold it to us turned out to be really nice and hooked the trailer up to his truck and drove it all the way to our house when he saw that we were in a jam (plus, he was motivated– moving deadline, remember?) 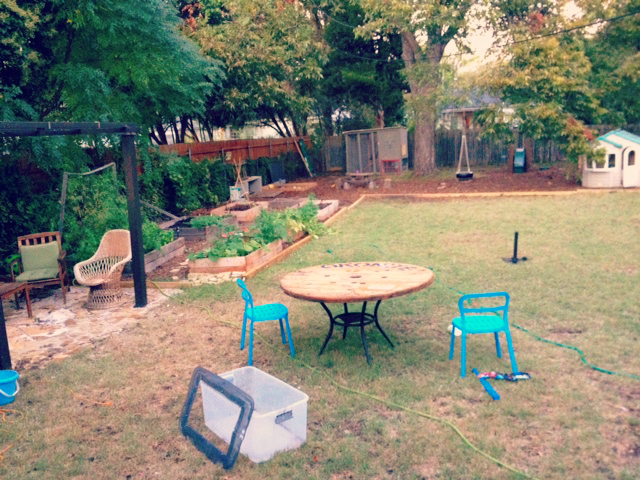 We got it to our backyard, but it was in pieces. It took another 2-3 hours for Jesse to put it back together with the help of a nice neighbor who volunteered to help. 🙂 As a side note, I am so happy that our neighbors support us having backyard chickens! In fact, they are all pretty excited! 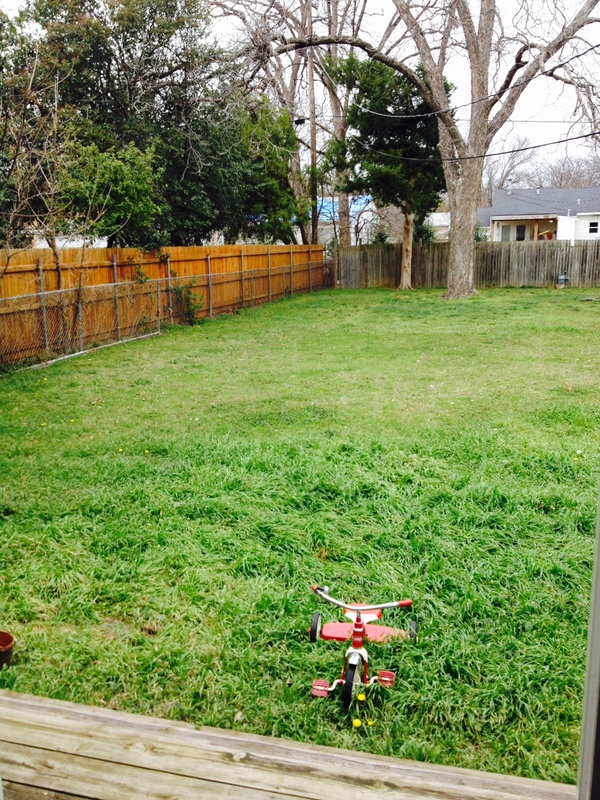 As a side note, here is what this side of our backyard looked like when we bought the house. 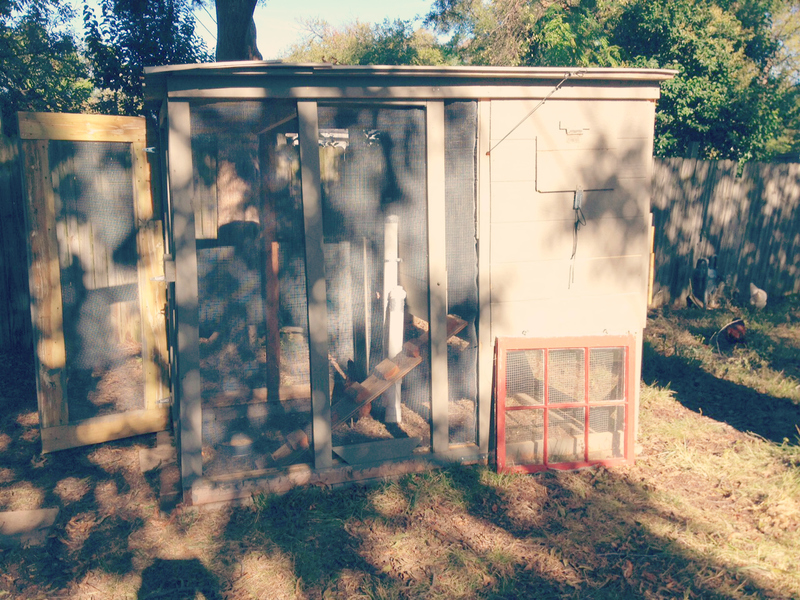 And now here it is– chicken coop done! 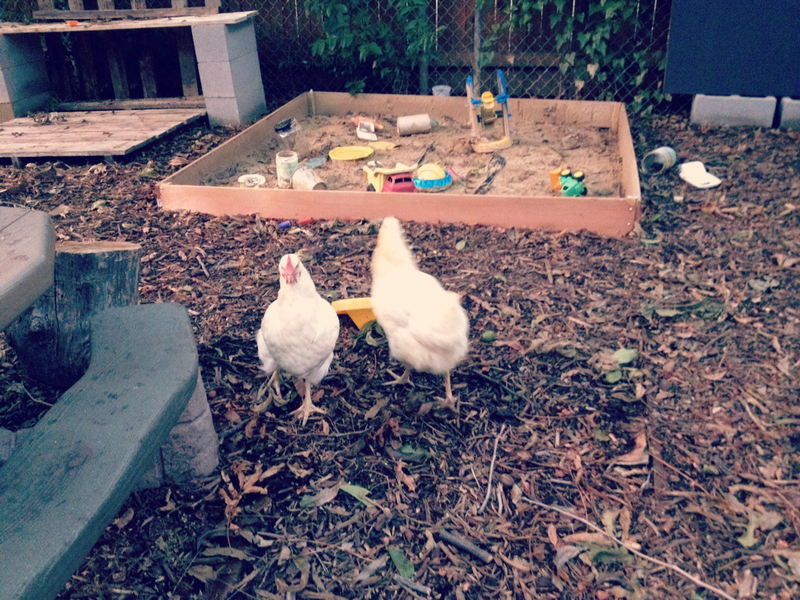 (Ignore our rubbermaid-chicken-carrier!). The window at the bottom is not yet part of the coop. I plan on adding it to the door so that the boys can peak in and see the chickens whenever they want! We will also be adding a separate nesting box where you see the boards (that’s why they aren’t painted). And, speaking of paint, we have leftover exterior paint, so pretty soon the coop will match our house! The next step was finding the right chickens for the right price. Since it’s autumn here, we knew that baby chicks were out of the question since they wouldn’t be fully feathered before winter hit. Once again, I turned to Craigslist, looking for someone getting rid of the right breed. 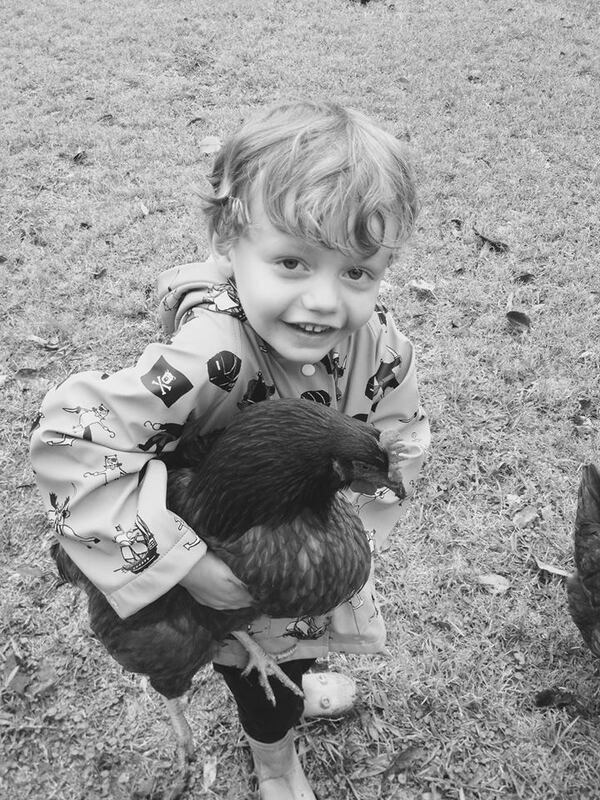 I really wanted sweet tame chickens, since I knew that they would become part of the family. And, once again, Craigslist to the rescue! I found another family with a moving deadline (seriously, moving deadlines are the jackpot when it comes to Craigslist deals). They had 3 six month old Rhode Island Reds for sale at $35/each. I asked if she’d take $60 for all 3, and she said yes! The boys and I went to pick them up last Friday, and it was love at first sight. Their names are Henrietta, Missy and Nessie. 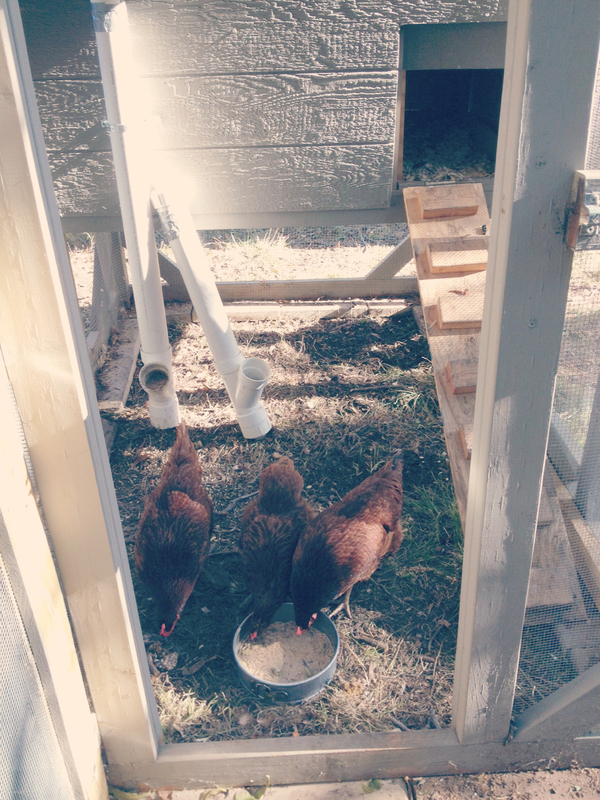 One of the three is molting, however, and 1-2 eggs every day isn’t enough to offset our grocery bill. 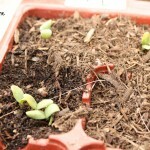 So, on Monday, we went to a farm in Wylie and picked up two Americaunas which we named “Bushel” and “Peck”. The lady assured me that these would be the leader of the pack once the new “pecking order” was established (not a pun, that’s actually where the term came from, haha! ), but, as it turns out, our Rhode Islands are definitely in charge! They didn’t even let the 2 new ones out of the coop for the first day! Bossy hens! Our boys just LOVE their new friends. 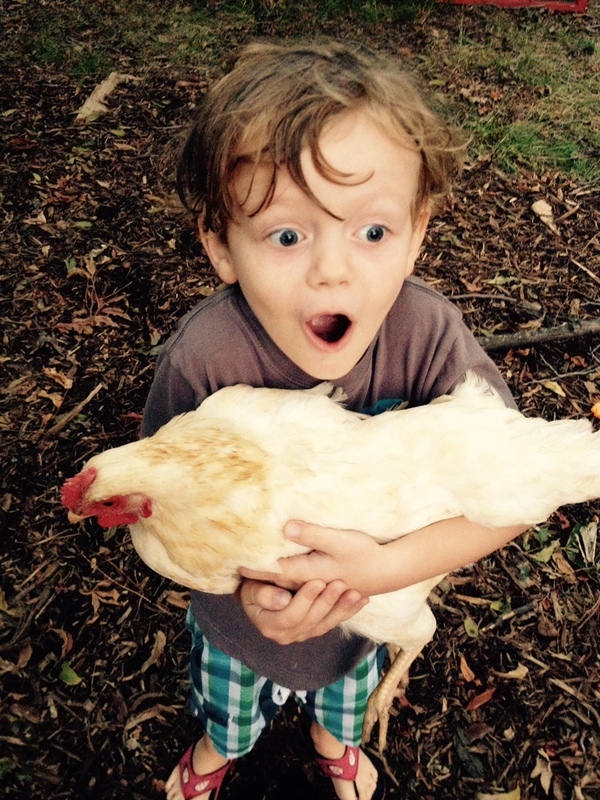 Gregory cannot contain himself when we find a new egg, and he begs to do absolutely every chore associated with the chickens. There’s definitely been a lot of laughter over here, that’s for sure! While I may feel like the crazy chicken lady, when I sit down and think about it, this has been coming for a long time. 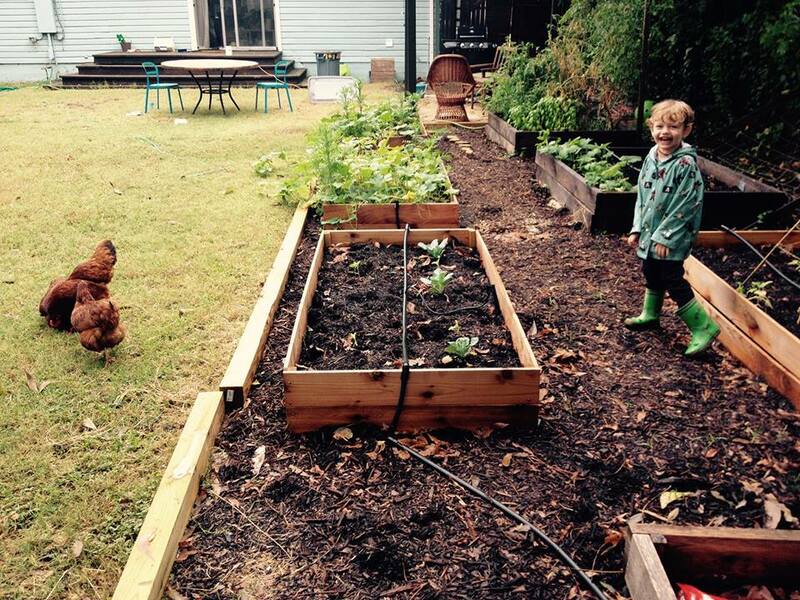 In fact, we might have reached full-on hippie status over here– we drive an all electric car, we compost, we have 6 garden beds, we only buy from thrift stores and now we have backyard chickens! Oh well, time to embrace it, I guess! I can’t believe you got that for $150 … what a deal! 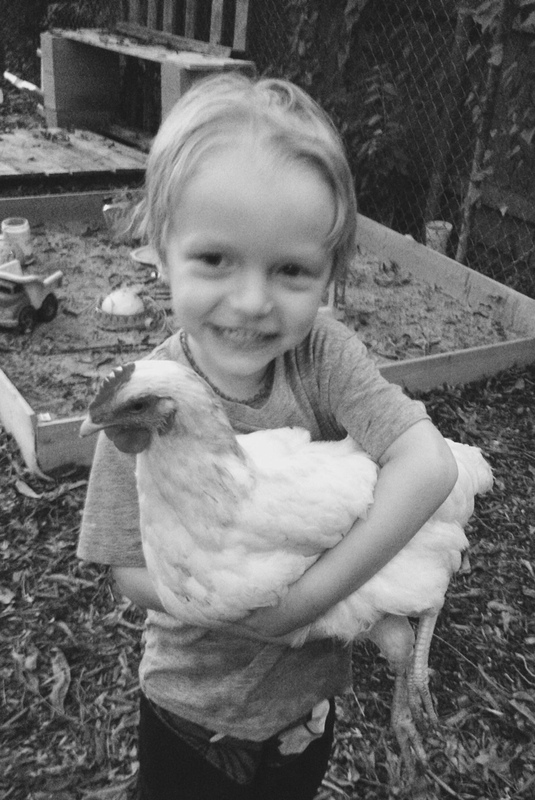 Those photos of the kids with the chickens are adorable. I actually didn’t know chickens would let you hold them. 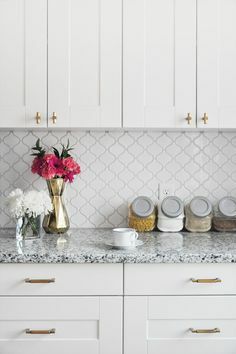 I agree that you are lucky to have nice neighbors. I guess they can get in on the fresh eggs every now and then?